The story behind one of Northern Soul's rarest records. 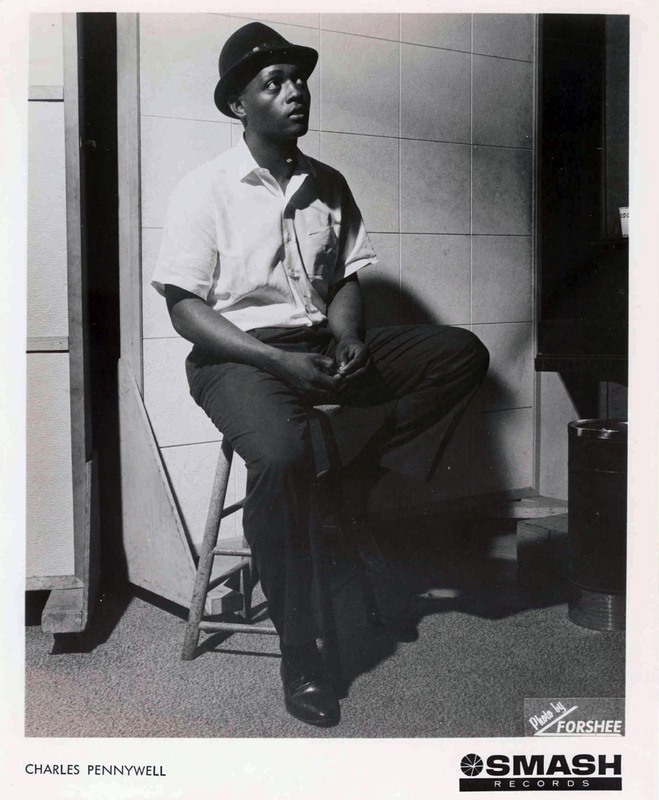 Joey Jefferson is a well known producer and label owner that released many excellent 60s soul sides. Breakthrough & Mutt & Jeff are two of Joey’s labels that are of the most interest to Rare & Northern Soul collectors. 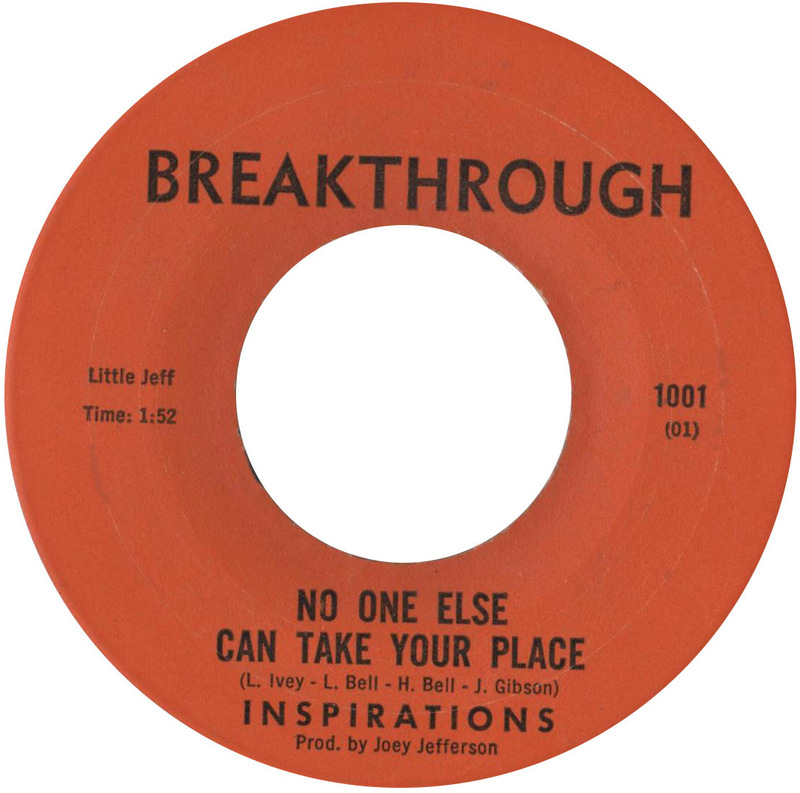 The most highly sought after 45 on Breakthrough is of course by “No One Else Can Take Your Place” by the Inspirations. Over the years myths and misinformation has surrounded the recording. Johnny Hendley who recorded solo on Mutt & Jeff and later on TIE as John & The Weirdest is just one. He was reputedly the lead singer with the Inspirations. However, during a recent trip Stateside by Kev Roberts who met once more with Joey this myth was dispelled once and for all. 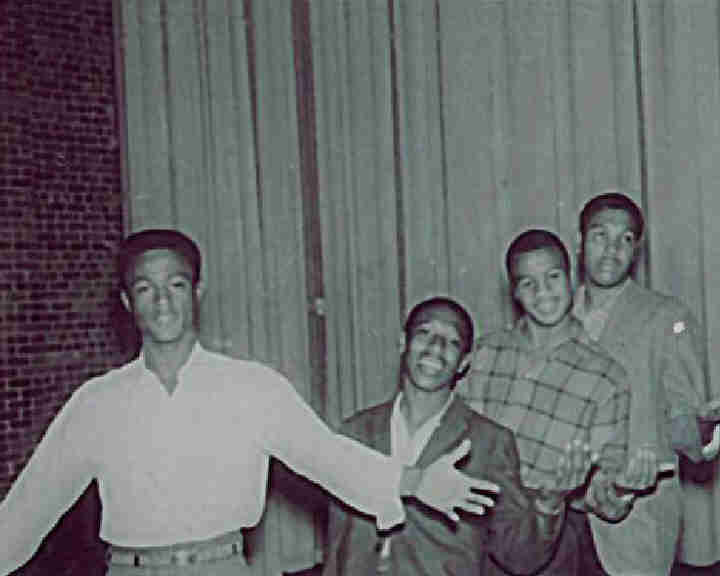 The line up of the Inspirations, an LA vocal group, consisted of John Gibson who sang lead. Other members include brothers Huey and Lou Bell plus Charles Perry who was on MGM/Magnum, Charles Diamond (real name Charles Pennywell) was also in the studio doing backing and as we will find out he was soon to cut his own take. This line up was confirmed to Kev by Joey in a recent conversation. The group went into the studio and recorded the track sometime in 1966. The group however were courted by Motown’s West Coast office and they refused to sign a contract with Joey. With just a few 45s escaping and the group in dispute with Joey over a contact the recording was pulled and consigned to the vaults. Charles “Diamond” Pennywell was born in Shreveport, Louisiana, the third largest city in Louisiana after New Orleans and Baton Rouge. The city has a rich musical history from soul to gospel, R&B to country and much more and was the home for many of music’s major acts. Charles was also a childhood friend of Joey Jefferson who would have a part to play in the future musical career of Charles. Charles began singing at the age of ten. It would be high school where he began to take it seriously. 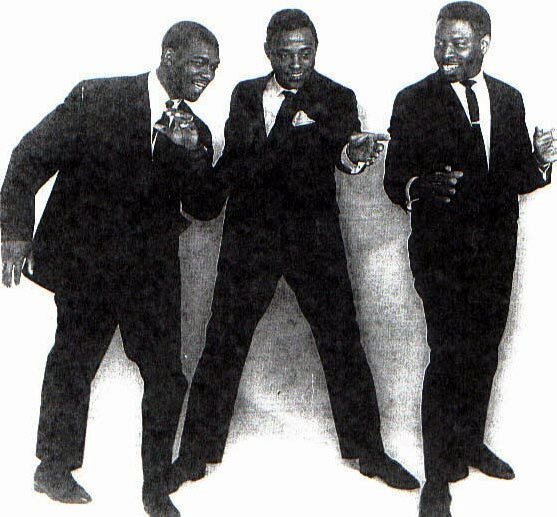 Along with fellow school friends, Eddie LeJay, Thomas Odom, Steve Ross they formed the The Fairlanes, named after the Ford Fairlane and keeping with the doo-wop tradition of naming the group after cars, The Cadilacs etc. The group’s first release in 1959 was to be Seventeen Steps” b/w “Johnny Rhythm” came out on Dee Marais’ Lucky Seven label and in the same year for Pappy Dailey’s Dart label out of Houston, TX (Just For Me). They would also record for Eddie Shuler's Tic-Toc label (You’re Lonesome Now) in 1961. Charles would record solo for Smash with “Web Of Love” b/w “It’s So Funny I Could Cry”. 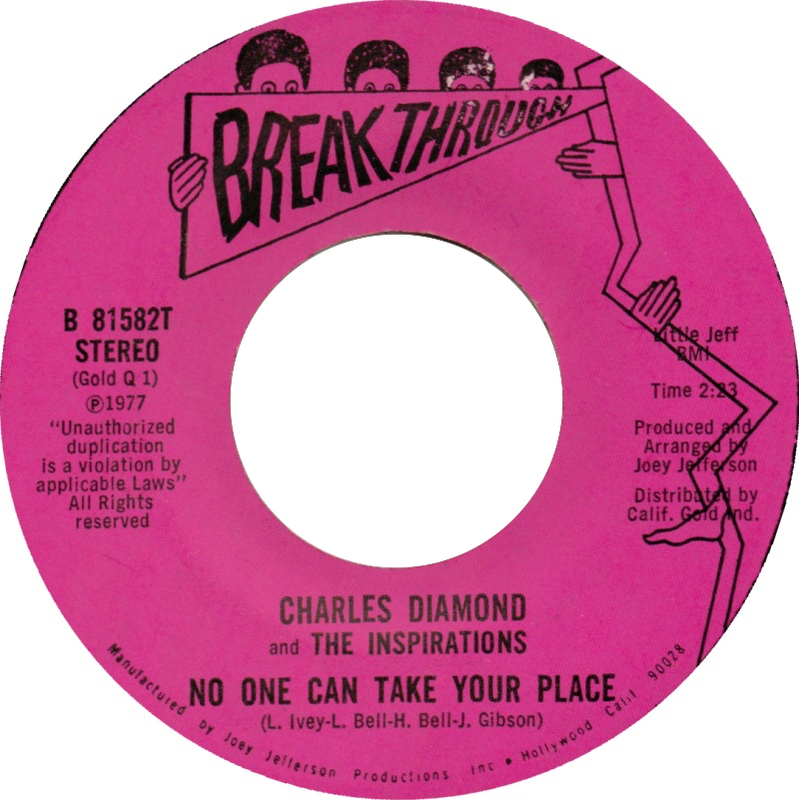 Charles as mentioned was doing backing vocals in the studio whilst the Inspirations cut their take or takes of “No One Else Can Take Your Place”. It is highly likely Charles Diamond cut his take during the same session, if not the same session it would be very soon after. Unfortunately, Joey Jefferson would lose interest in the recording and it would be shelved. Charles Diamond, soon after laying down his vocals to “No One Else Can Take Your Place” would become a member and sing lead vocals for the vocal group The Sunlovers and whose members would be Eddie LaJay who was a member of the Fairlanes alongside Charles and childhood friend and Robert Tisby. I have read a conflicting biography that the group’s members were also those that recorded as The Inspirations. If this is true then I guess Joey didn’t bear a grudge, not when money was to be made through music. I find this unlikely due to the dispute over a recording contract the Inspirations had with Joey. The line-up of Charles, Eddie and Robert came from an interview conducted with Charles a few years ago. It would be the Sunlovers and his other label interests that would be the focus of Joey’s productions and “The Inspirations and “No One Else Can Take Your Place” was for the foreseeable future history. The Sunlovers would record for amongst others Joey’s Mutt & Jeff label. “My Poor Heart”. was the first release in June 1967 ”You’ll Never Make The Grade” came next and “I’ll Treat You Right” being the third and final release on Mutt & Jeff. None did anything nationally despite selling regionally. The first two would however become popular on the UK Northern Soul scene in later years alongside the Breakthrough release by the Inspirations and other releases by Joey Jefferson. When asked most collectors and dancers remember first hearing the record via Colin Curtis at the legendary Blackpool Mecca. This copy however belonged to Neil Rushton. Neil purchased it for £32, two weeks’ wages, blind from Bob Cattaneo of San Francisco. This was the first copy to arrive in the UK and Neil as well as playing it himself at venues such as The Ritz in Manchester would take it to the Mecca for Colin to play, this would be late 1973 or 1974 according to various memories. Some years later, whilst the disc was still a one known copy 45, Neil would sell the record to Ritchie Andrew of Wales for £120, something Neil regretted. Meanwhile, Bob Cattaneo had been in contact with Joey and during the conversations it transpired Joey still had the masters for “No One Else Can Take Your Place”. Bob relayed this to Neil and a deal was struck through Bob to get 1000 pressed up, this was 1977. However, when the records arrived in the UK Neil was bemused that it was not the same as the record he had bought from Bob and played around the UK but a totally different take. It transpired that Joey had used the vocal recorded by Charles Diamond and not the original Inspirations take. It was though an excellent recording in its own right and all copies have now disappeared into collections, when one does turn up for sale it is now commanding a three-figure sum. The Inspirations though has never turned up with just a few known copies and commanding a figure of several thousand pounds. As for Johnny Hendley, his whereabouts are unknown although Joey is actively attempting to locate him. It was said at one time he was in a bad way in hospital, possibly a mental institution…hopefully this wasn’t the case and he can be found fit and well. Charles Pennywell would continue to record into the 70s and is still touring to this day with his band. Special thanks to Kev Roberts, Charles Pennywell and Joey Jefferson. Thanks also to Classic Urban Harmony. Photos courtesy of Charles Pennywell.